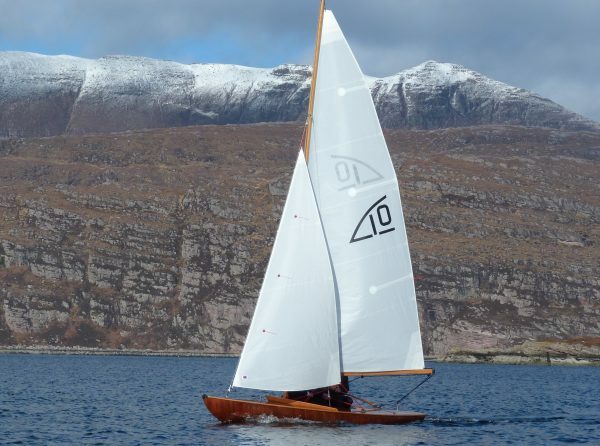 The Flying 10 was designed in 1948 by the great Uffa Fox as a smaller companion to his highly successful Flying 15. 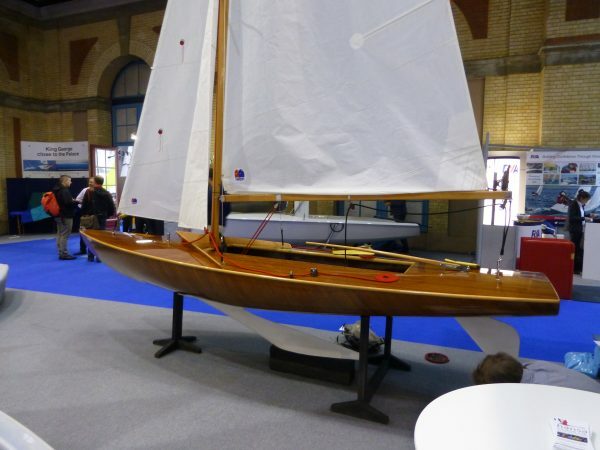 This boat was built in 2017 by Loftus and Johnson based in Scotland and exhibited at the 2017 RYA Dinghy Show where she won Best in Show. 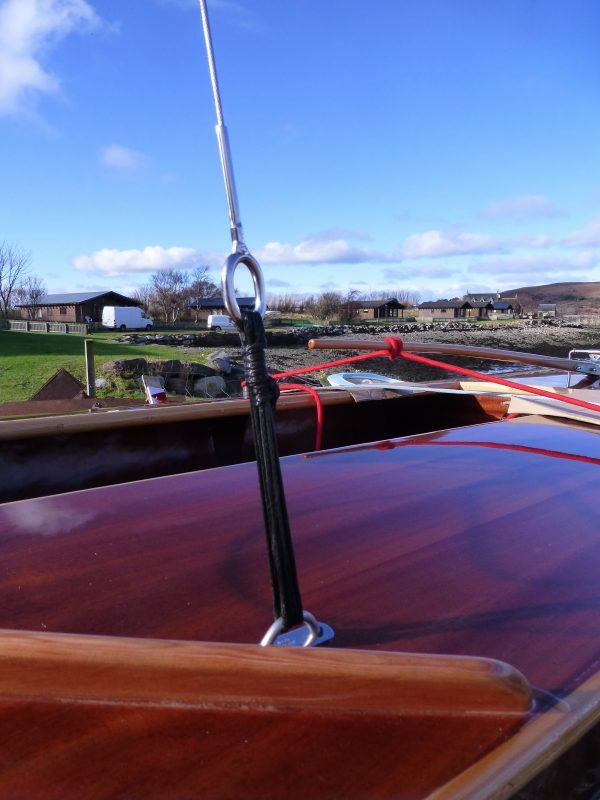 An immaculate boat built to the highest standards and in ‘as new’ condition. 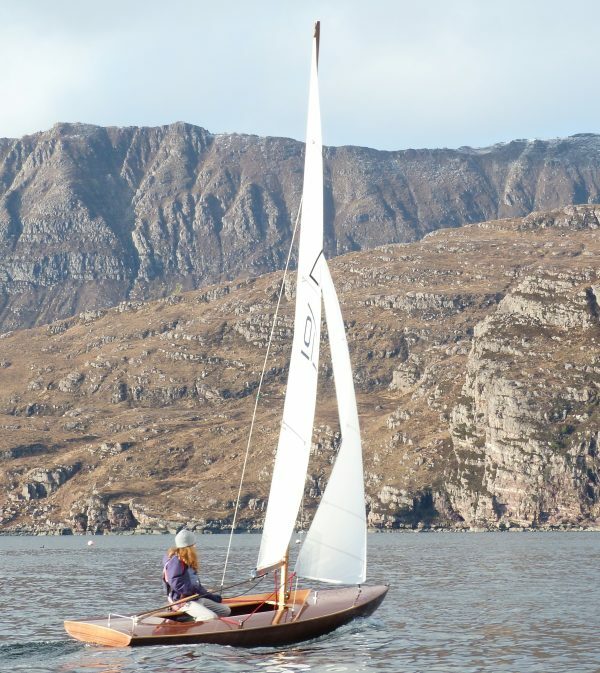 The design is extremely clever as she can be easily handled by a child sailor but can also easily take 2 adults and be a testing and rewarding boat for an experienced dinghy sailor. 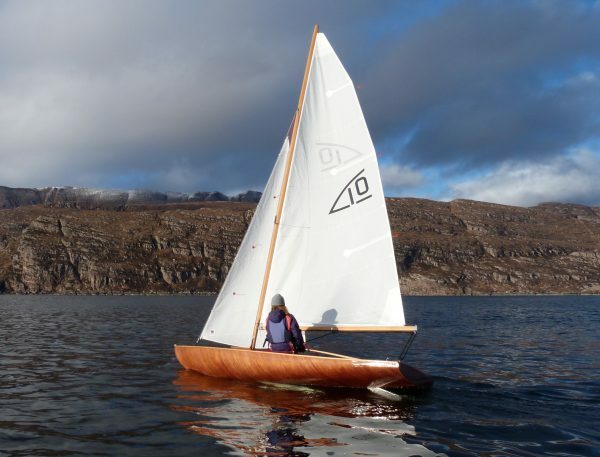 The fin keel design offers a different and probably more rewarding sailing experience than that gained in a centreboard dinghy. She comes with a custom road trailer and all over cover so she is a complete package, ready to go and be used. She is so good you would almost want to put her in the living room and stare at her! Double diagonal hull using 2 veneers of Utile, total thickness of 5mm. Bonded using epoxy resin. Decks of Sapele faced marine plywood and epoxy coated, laid on Douglas Fir deck beams. Varnished Oak rubbing strake all round. Fin keel to the original design, 90kg cast iron. Coated in epoxy paint. Fixed with stainless steel keel bolts. Tiller steering to a blade rudder permanently mounted. Plywood bulkheads giving fore and aft watertight compartments. 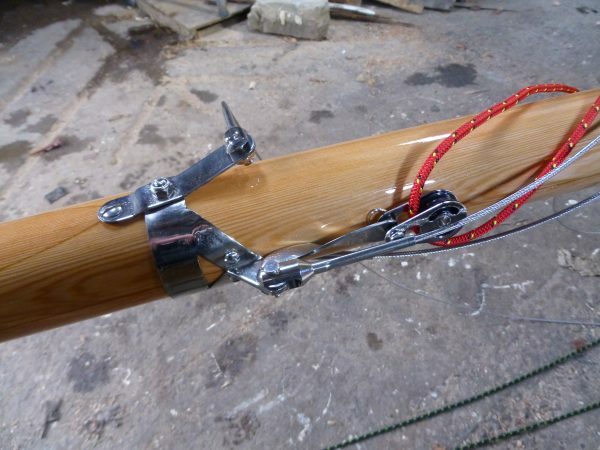 Fractional bermudan sloop rig on a keel stepped varnished wooden mast. 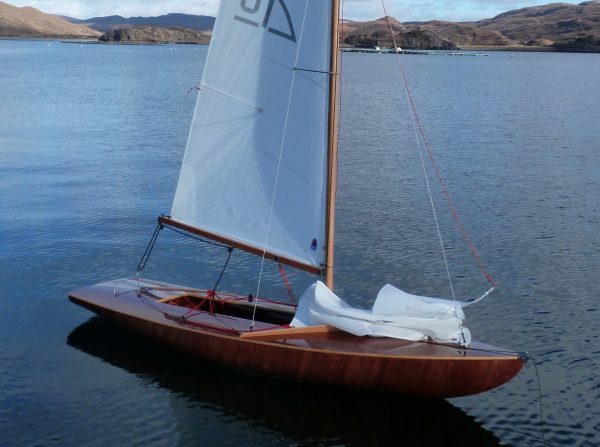 All spars were made to the original design using Douglas Fir and are very light weight. All rigging fittings were custom made in the builders yard using 316 stainless. Stainless steel standing rigging to internal chain plates, tensioned with Dyneema lanyards. 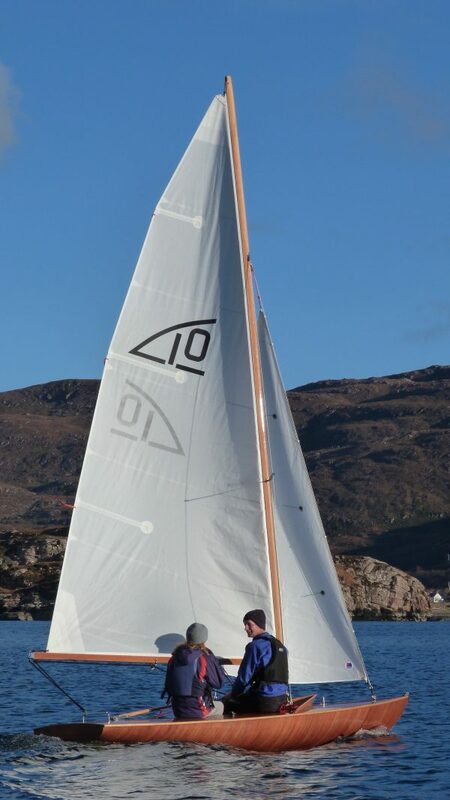 Single shrouds are swept back to give a backstay effect. Fractional forestay with hanked on headsail. Mainsail sheets to a stainless horse on the aft deck.